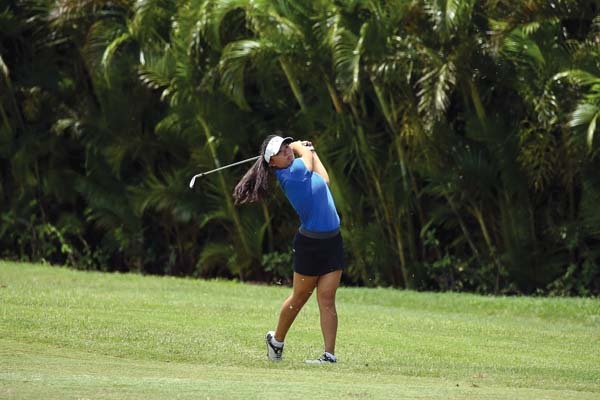 Reese Guzman of Maui High School fired a 4-over-par 75 in the first round of the David S. Ishii Foundation Girls Golf State Championship on Monday to grab a share of the lead at the Royal Kaanapali Course. Playing in the last group, Guzman had three birdies and three bogeys on the front nine to make the turn at even par. 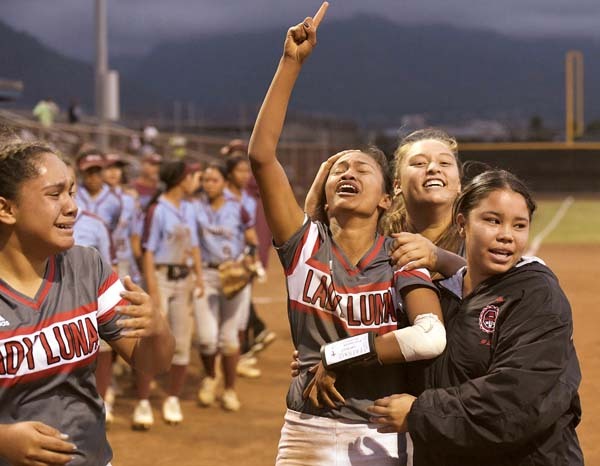 Another bogey and birdie still had her in sole possession of the lead before a triple bogey on the par-3 17th hole and a bogey on the par-4 18th dropped her into a tie with Iolani’s Kamie Hamada. “I don’t really know what happened on that hole,” Guzman said of 17. “Overall my driving was really solid all day — I only missed one fairway. 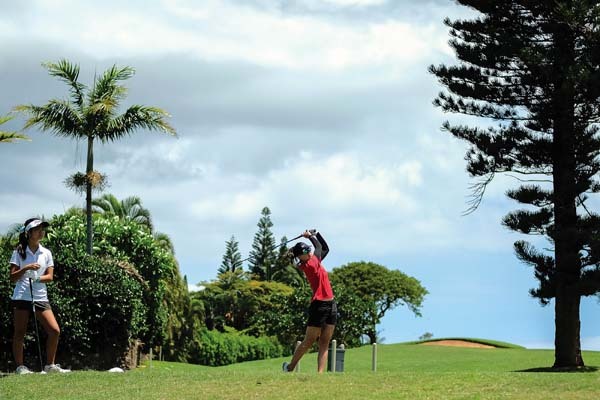 Guzman, who won her first Maui Interscholastic League individual title last month by 17 strokes, finished 10th at state last year as a freshman. The 36-hole tournament wraps up today. 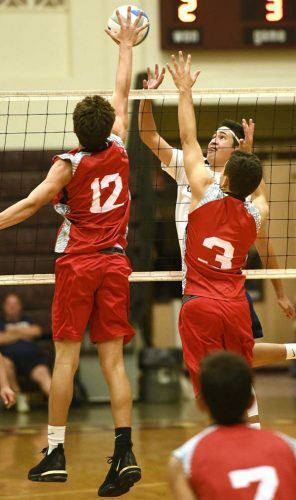 Iolani led the team standings at 19-over 232, 10 shots clear of four-time defending champion Punahou. 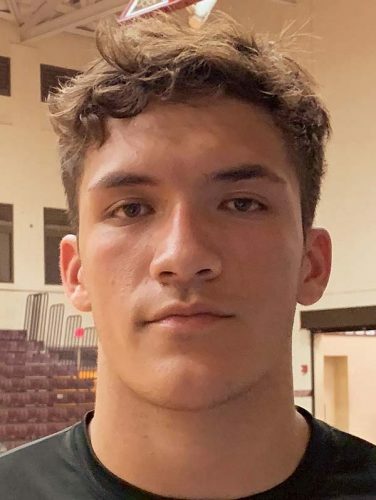 MIL champion Baldwin was tied for sixth at 39 over. 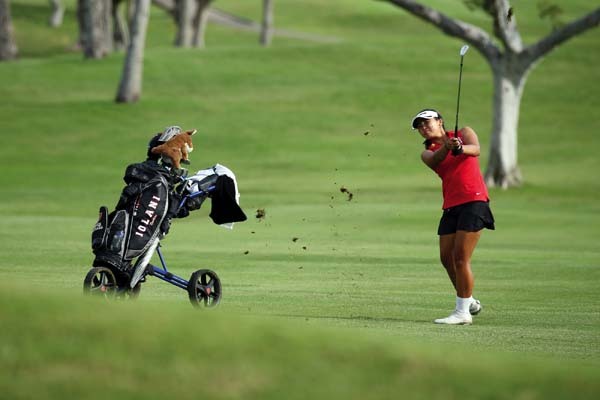 Hamada carded two birdies, four bogeys and a double-bogey in her round to lead a trio of Raiders in the top seven — Kristin Miyagi was tied for fifth after a 78, with Naomi Wong another shot back. 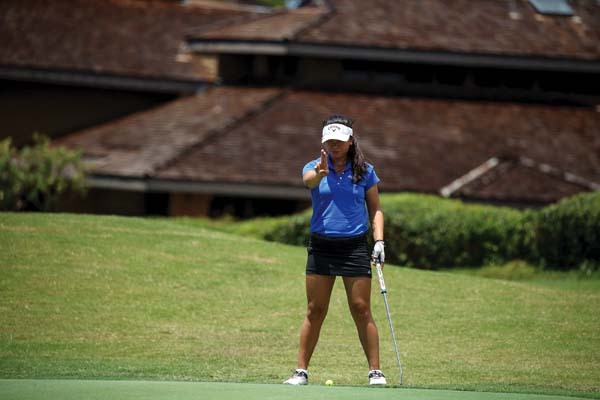 Kaiser’s Malia Nam and Punahou’s Claire Choi each shot 76 to finish one shot off the lead. Jaelin Ishikawa and Katherine Swor led Baldwin with 80s, which put them in a tie for 11th individually. Sienna Kawahara added a 92, while Alexa Jackson’s 96 was dropped from the team score.